(Bloomberg) -- Nomura Holdings Inc.’s Chief Risk Officer Lewis O’Donald and senior salespeople and traders in New York, Europe and Asia are among those leaving as Japan’s largest brokerage retrenches from several markets including U.S. credit, according to people familiar with the matter. The departures, part of Nomura’s plan announced last week to cut costs in its global trading and investment banking operations by $1 billion in coming years, are focused on the Japanese firm’s secondary business in fixed income, currencies and emerging markets. 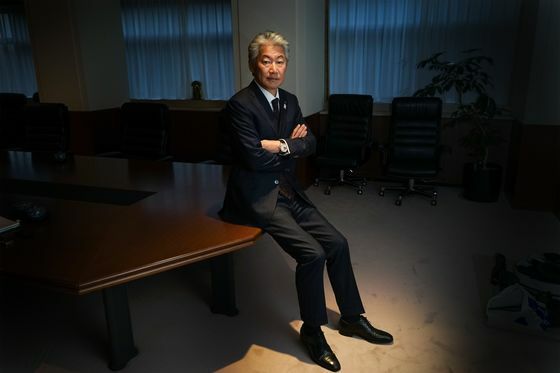 Chief Executive Officer Koji Nagai is pivoting toward what he calls “client-focused” businesses, such as advisory, which tend to be less volatile. Nomura’s latest overhaul will lead to about 150 job losses across the U.S. and Europe, people with knowledge of the matter have said. In the Americas, senior fixed-income strategists George Goncalves and Siobhan Morden are among those departing along with Lee Olive, co-head of leveraged finance, and top high-yield bond salesman Brian Lee, said the people, asking not to be named discussing personnel moves. The Americas business will largely stop trading in both investment-grade and high-yield debt as part of the wider restructuring. High-yield bond traders Vivek Raman and Andrew Leonhard are exiting, the people said, along with credit salesmen William Goebelbecker and Ben Golden. Representatives for Nomura declined to comment. The departed employees either declined to comment or didn’t respond to messages seeking comment. Nomura’s operations outside Japan have lost money for four straight quarters, with Europe posing the biggest challenge for the firm. It isn’t the only investment bank struggling there: Low interest rates, sluggish economies and fierce competition have left European rivals including UBS Group AG, BNP Paribas SA and Deutsche Bank AG confronting weak results, senior departures and even merger talks. With U.S. banks like Goldman Sachs Group Inc., Morgan Stanley and JPMorgan Chase & Co. becoming more dominant, firms like Nomura are getting increasingly marginalized. “On its own, Nomura lacks the resources to be more than a niche player,” Michael Makdad, an analyst at Morningstar Investment Service, said in a report last week. The bank is also culling its corporate functions, reducing the number of departments from 10 to five. In a management shuffle announced last month, Nomura said Yuji Nakata would become chief risk officer, replacing O’Donald. In Europe, the Tokyo-based bank has struggled to generate profits ever since it bought Lehman Brothers Holdings Inc.’s operations there in 2008. The bank’s job cuts there will mostly target rates and credit traders in London, Bloomberg reported last week.